Books are a major source of entertainment in our household. Laurel and Violet both love cuddling and reading, and I know that it's a gift to have the time to read to them (my parents and I never were able to read together). 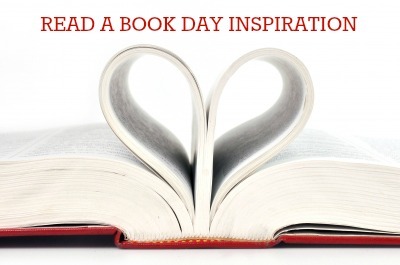 Tomorrow is Read a Book Day -- yay for books (tomorrow or any day)! I wanted to share what we're reading around here and also some great curated lists if you need some reading inspiration. Head to your favorite library or bookstore and grab some titles. 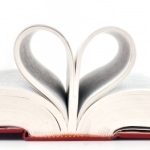 I'd love to hear what you're reading right now! I recently finished (and loved) Hotel on the Corner of Bitter and Sweet. Laurel recently finished (and loved) Penny Dreadful. Yesterday I read Violet Olivia Helps with Christmas, Miss Nelson Is Missing!, and Panda Bear, Panda Bear, What Do You See? about 10 times each. Maybe 11.